Jill Toman wins POTY 2018! The Society held its Annual Presentation Dinner at The Old Down Inn on the last Thursday in March. Postponed because of the snow in February, it was a lively occasion with good company enjoying a pleasant menu surrounded by high quality prints by members. The Committee organised the fine details so that all ran smoothly on the night, and Geoff Noad kindly recorded the event with photos of the awards as they were given, as well as the presentation of flowers at the end of the evening to mark the outstanding service that Margot Witcombe and husband Mike have made to the Society over the years. 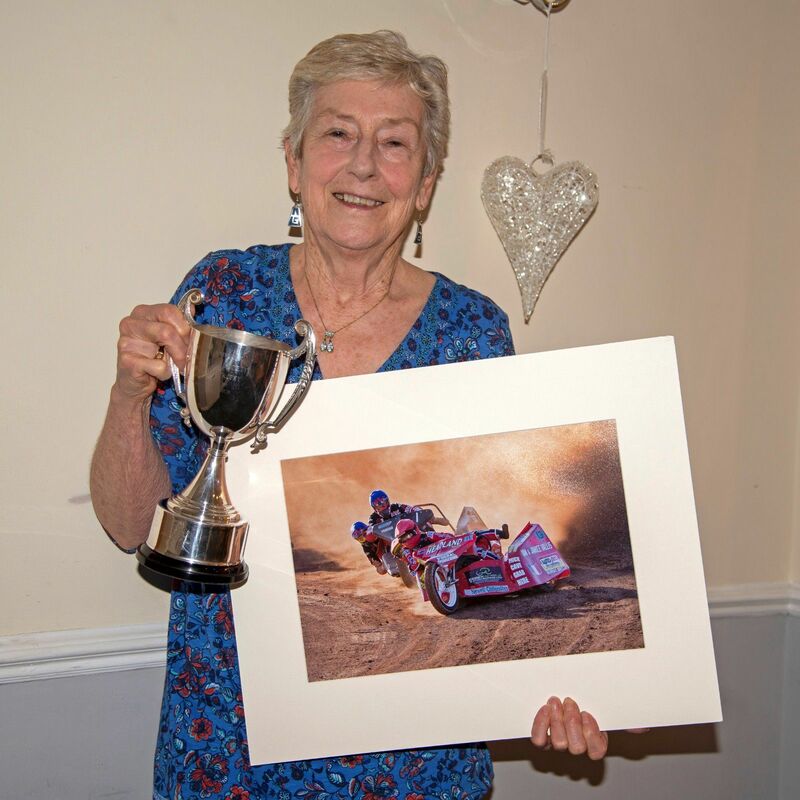 AS NRPS new Honorary President, Margot Witcombe, presented the monthly competitions and Picture of the Year awards. Photos will be added to the Competition results section under PHOTO OF THE YEAR 2018 where they can be viewed as soon as they are made available by members. The very first presentation was for the recently re-named “Witcombe Millennium Cup”, for the best picture in the Annual Exhibition. The public voted for most popular photograph on the day, and the winner was David Chown’s creative “Books Bring Words to Life”, which also later took 1st place in the Picture of the year category “Other”. 1st. Jill Toman	“Sidecar Racing, Highbridge"
The first Thursday in April sees Geoff Noad take the floor, and time has also been set aside for members to consider further the entries for the Tri Battle Competition with Frome clubs that is fast approaching.